Award winning, hard-working, versatile off-road tyre. Ideal for work or play. 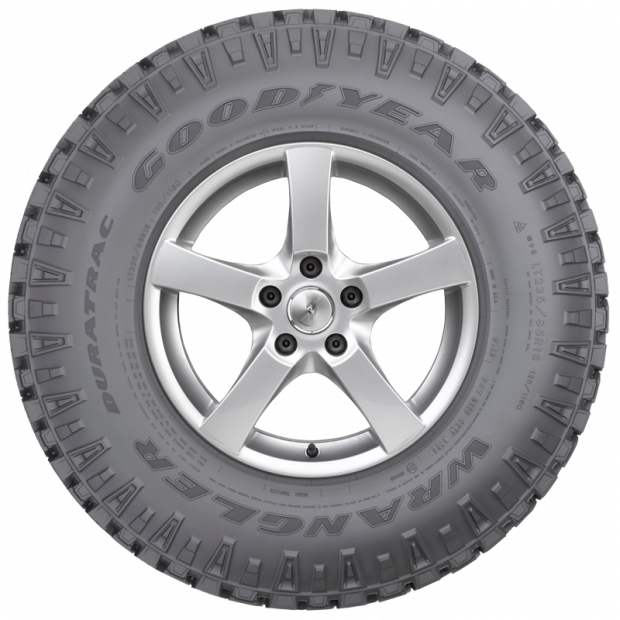 The Goodyear Wrangler DuraTrac is a hardworking, versatile off road tyre that won't feel out place when you're back on the bitumen. Featuring TractiveGroove Technology for enhanced traction in mud and self cleaning shoulder blocks which help provide enhanced dirt, gravel and mud traction, you'll be able to tackle a wide variety of conditions in your 4x4 vehicle whether hauling a heavy load to a construction site or heading off the beaten track on the weekends. 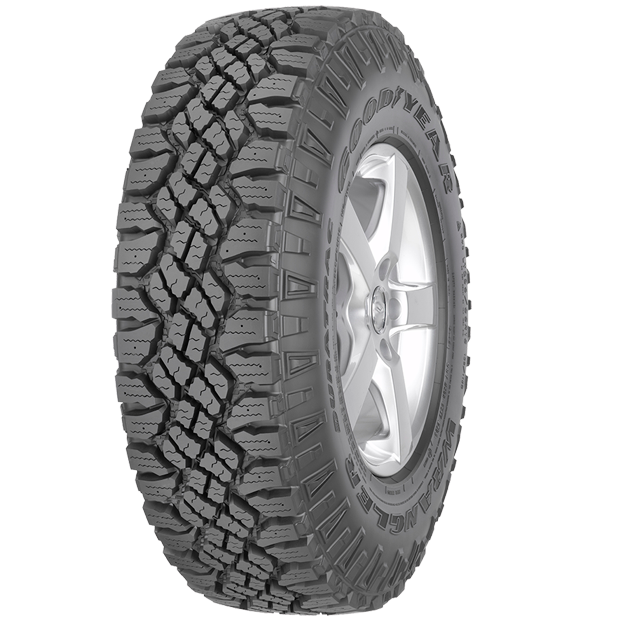 Off Road trade magazine readers recently selected the Goodyear Wrangler DuraTrac as the best off-road tyre in Europe.